The auditorium of First Baptist Church in Hammond, Indiana, was filled with over 5,000 cheering teenagers as the annual Youth Conference began. I was thrilled to among them! I had gotten the opportunity to go by winning the first prize in a Sunday school campaign. At age 17, I had hopes of attending Hyles-Anderson College, based out of this famous Independent Fundamental Baptist Church (IFB). After all, being a student there was the epitome of spiritual-life achievement. To be accepted, to win “Miss Hylander” my senior year, to marry a preacher-in-training (handsome of course, with a perfect part in his hair, looking sharp in his suit and tie), these were my ambitions. A few weeks later, I felt burdened for a former “boyfriend” (pen pal) from whom I had parted ways. I had heard he was going away from the Lord. In a moment of emotional zeal for God in the privacy of my own room, I told God that if taking my life would lead this young man back to Himself, then I was making myself available. My pastor had had a brother who had done the same thing and his brother had indeed died. Many souls came to Christ at his funeral. I suppose you think this was quite arrogant of me. And as I type it out now, these 21 years later, I see that it might sound that way. But this was not something I took pride in; it was very serious. After all, I had opened my mouth unto the Lord, and I could not go back. I was as good as dead. Panic gripped me a few days after my vow. What had I done? Who was I to think my death would bring about anyone’s salvation, especially that of a young man who lived in another state? My panic drove me to confess this most embarrassing pledge to my mother. And through her words, I found the comfort and peace that I had longed for. She said, “Valerie, God is sovereign.” She went on to explain what this meant. God is in control. We don’t just pray for something and it happens, unless it is God’s will that it should happen. Her theological guidance in those few private moments in my bedroom offered more direction, hope, and peace than all the sermons I’d heard at the youth conference in Hammond, Indiana. It would be years before I realized how necessary a strong foundation of theology is to a Christian. As a faithful church member and pastor’s wife, I’ve had scores of conversations with other faithful Christians who have problems that can easily be solved by a few lessons in theology. 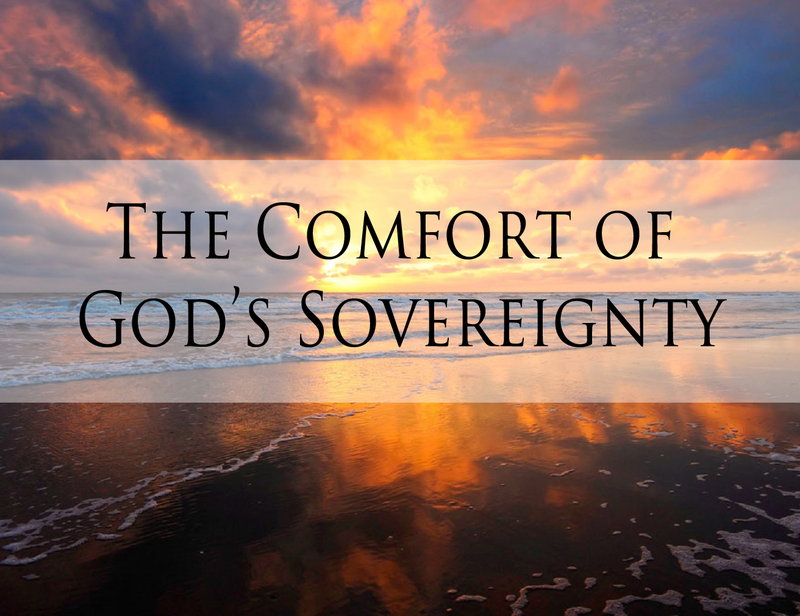 So much peace of mind comes from knowing about God’s sovereignty, about prayer, about sanctification, grace, election, sin, legalism, and the list goes on. This can only come by careful study of God’s Word. I had never understood the sovereignty of God until my mother explained it to me. Since then, I have studied more about it, and have been able to comfort others with that blessed truth. I’ve heard more than one person bewail that fact that they are out of God’s will. But, as a believer, if you are doing all you know to do for God, you cannot be out of His will. Why? He is sovereign! If you are acting sinfully, then you should repent and get up and go forward. Because God is sovereign, He even uses our mistakes as part of His plan. Isn’t that a blessing? As I look back on the other false teaching I heard that week, like the sermon Bro. Hyles preached about the Prodigal son, saying that all of us should be like the older brother in that parable, the one who never left, I marvel at the grace of God in leading me. It would be many years before I understood that parable correctly: the older brother was the Pharisee, the un-regenerate one, while the prodigal was the repentant true-believer. Bro. Hyles was telling all of us to be Pharisees! But when you have an auditorium full of novice (or un-regenerate) teenagers and leaders who are merely “yes” men, this is the kind of teaching you get. I suppose you could accuse me of trying to smear the leaders of First Baptist Church. That is not my intention. However, I am also not afraid to proclaim the truth, even if it does offend someone out there. I do not harbor any ill feelings about this experience. Why, had it not been for this time in my life, I would never have understood that God is in control. He was in control long before I ever heard about His Sovereignty. But knowing about it makes it that much sweeter. This was all part of His plan for my life, and I am grateful for the opportunity to share it with you. I am thankful that the Lord does not operate based upon our whims and wishes. If I had died when I was 17, I would be with the Lord, which would be wonderful. But His plan for me was to live, to learn, and to try to help others along the way. Wow! What an experience! I’m enjoying getting to know you through your blog; your exciting, colourful teenage life 😉 but I’m especially blessed to know all about the Lord’s work in your life. Clearly, He had other plans for you that’s completely different from what you decided for yourself at age 17. And what a great blessing has it been for you to have a godly mother! Thank you so much for the kind words, Elna. God has definitely done more for me than I could have imagined, and I’m so thankful that He is in control. It has been a blessing getting to know you, too! I enjoyed reading this, Valerie! There are so many good things to glean from in this blog post! Thank you, Ava! Your comment means a lot!